how can I import my music from windows media player to spotify? please help me!' 'hi I am new to spotify my question is can I add the music from spotify to my computers windows media player so I can burn the songs to a cd. 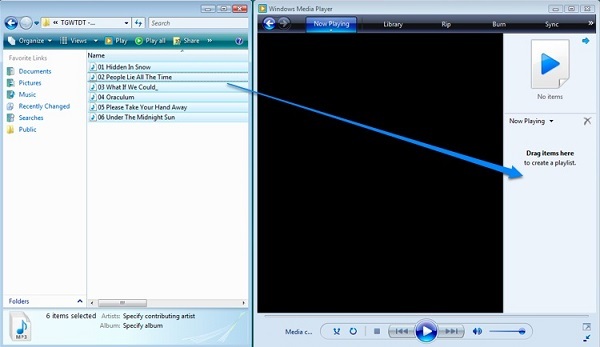 Windows Media Player (WMP) is a media player and media library application developed by Microsoft that is used to play songs and other forms of media such as videos, pictures and even recorded TV, playlists and as well as audiobooks on personal computers running the Microsoft Windows operating system. Besides, with Windows Media Player, users can sync media files to their mobile devices like TomTom Spark, as well as burn the songs to a CD. There are many popular audio formats that are supported by the windows media player, such as MP3, WAV, W4A, AC3, Ogg, etc. However, you may encounter an error when you try to play music from Spotify on your Windows Media Player. That's mainly because Spotify music are encryPted by DRM protection. Due to DRM, tracks are restricted to be played within Spotify client, you won't be able to transfer Spotify songs to Windows Media Player. To solve the problem, you can try to remove DRM from Spotify Music and then convert the music to Windows Media Player supported audio formats. TunePat Spotify Converter is such a tool for you. 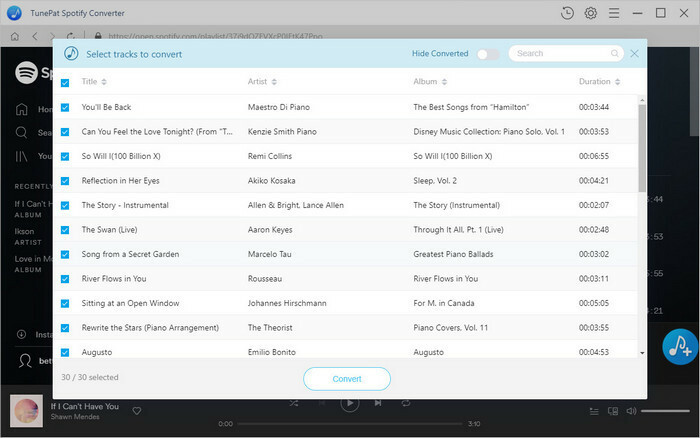 It is a powerful Spotify Music Converter with multi-function. With it, you can easily bypass the DRM protection by converting Spotify songs, playlists and albums to MP3, AAC, WAV at 10x faster speed. Download Spotify Songs to common MP3 players and other mobile devices. 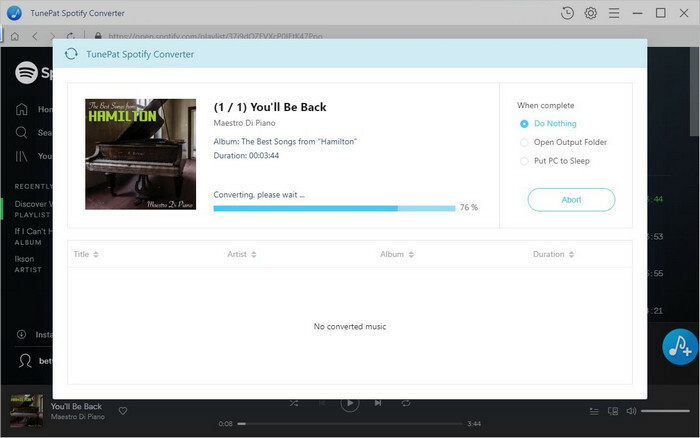 TunePat Spotify Audio Converter is compatible with both Windows and Mac operating systems. Moreover, you don't have to install Spotify app on your computer, just log in your Spotify account, you can get Spotify songs totally for free. Now download the latest version of TunePat and follow the guide to begin converting Spotify music to Windows Media Player. Step 1. Set output format. 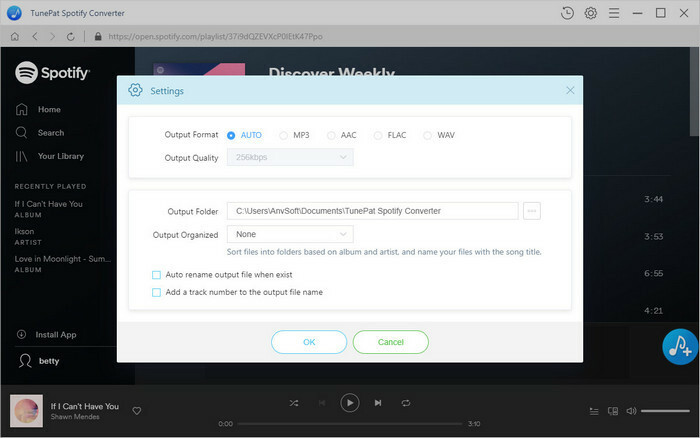 Install and open TunePat Spotify Audio Converter on your computer, click button in the bottom-right of the screen, you will see the Settings window pop-up. Here you can choose the most popular audio format - MP3 as the output format. Besides, you can also customize the output quality and conversion mode if you like. Step 2. Import Spotify Songs or Playlists to TunePat. Choose an album or playlist, click the + button and select the songs you want to convert. Step 3. Remove DRM and Convert Spotify Music to MP3. Now you can start the Spotify Music conversion process by clicking the Convert button. When the conversion completes, you can find the converted Spotify songs in the history folder. And select the files you would like to add and then right-click. Select Add to Windows Media Player list. The files should then appear in your Windows Media Player playlist. Alternatively, you can open Windows Media Player to locate the converted Spotify music files you would like to add to your library. Select the file then hold the left-button down to drag them to the right panel. 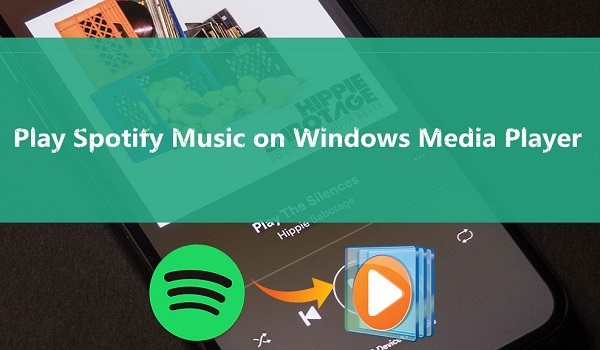 Now you are able to play your Spotify Songs on Windows Media Player.